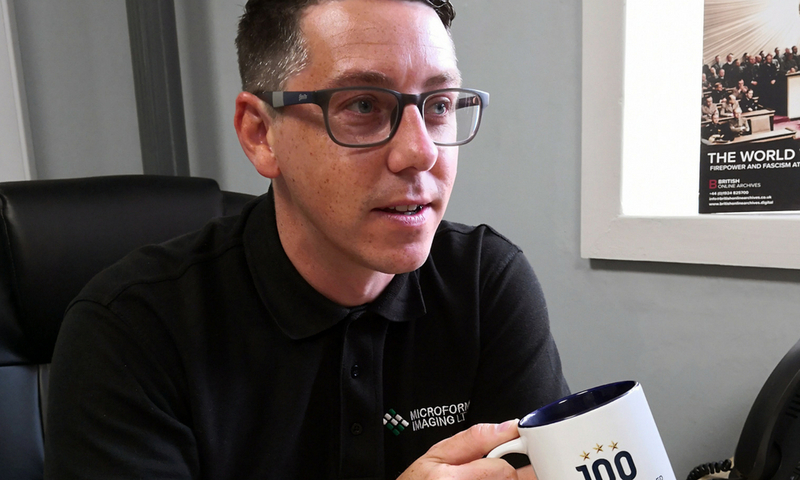 In this blog, Neil Bowker tells us about a typical day spent as Sales Director of Microform Imaging Ltd.
Today I’m catching an early train down to London for some highly-anticipated meetings. I got up at 5:30 and got myself ready before heading to the train station. I’m going alone today, so after grabbing some breakfast and a nice strong coffee at the station, I get on board and get my laptop out to get some work done on route. At Microform Imaging Ltd, our services are driven by the information and document management needs of our customers. We are all about reducing costs, improving efficiency and enhancing secure access to essential records. Most recently we have been educating current and prospective customers on how document scanning should play a pivotal part in their journey to becoming GDPR compliant. We have found that with the focus of GDPR being on how data is digitally stored, often the consideration around how an organisation takes care of its paper-based records is overlooked. So, my time on the train is spent penning some information on how digitising documents goes a long way toward mitigating potential risks that many organisations may now face. You can read more about it here. People may be sick of hearing about GDPR, but nobody can get away from the need to be compliant! I arrive in London and head straight to my first appointment. Today’s meetings are all about how Microform can help archives bring history to life. 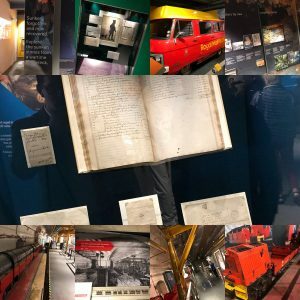 First, a visit to The British Postal Museum & Archive. What an amazing place it is, with so much history and heritage. I’m here to talk to them about our heritage digitisation and our interactive display offerings that we have launched recently. By offering clients a holistic service including scanning their non-paper based items, we can help showcase every nuance and detail of classic timepieces ensuring historical material is preserved for many years to come. 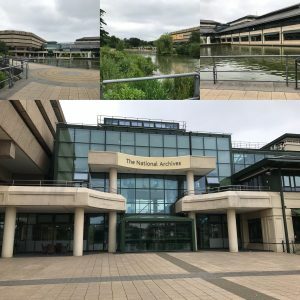 After a quick lunch, I head to my second meeting at the UK National Archives – I fall in love with this place more and more every time I visit! I’m here to finalise a contract to start the digitisation of the Paris Peace Conference material in time for next year’s Anniversary. The Paris Peace Conference, also known as Versailles Peace Conference, was the meeting of the victorious Allied Powers following the end of World War I to set the peace terms for the defeated Central Powers. The collection will be showcased through our business platform British Online Archives and sold to institutions around the world for primary research purposes. I’m so proud to be part of this! After another productive meeting and seeing some inspiring collections, I head back to catch my train home to Wakefield. I make a call back to the office where I get confirmation that our fellow Huddersfield Town Business partners, Maze 8 Group, have found us some new recruits to help fulfil new contracts coming on board. Recently we have won 4 large contracts to do a mixture of heritage digitisation and GDPR backfile scanning and have had to recruit upwards of 13 staff to fulfil them. We are even thinking of expanding our working space into the warehouse as we have so many machines and pieces of equipment now! At Microform, we are about preserving world heritage through digital media, and this is something we do on a day-to-day basis. Our heritage book scanning helps keep records in their best and most readable conditions for years to come. We provide this service to businesses, public organisations, museums and libraries. But we also offer book scanning services to individuals, writers, publishers and students. I’m sure everyone has got a rare or historical book or one of personal value that they want to safeguard against accidents. The oldest book we have ever scanned is over 1000 years old. How many people can say they have seen and dealt with a book that old!? On my way home I pick up some HTAFC programmes from a fan who has kindly donated them to the heritage project we are completing alongside Huddersfield Town Supporters Association. I get home after a long day to see my kids before bedtime. I don’t get much chance to relax tonight before hitting the sack ready for tomorrow. But usually, in my spare time, I enjoy watching the kids play rugby and football, sneak a round of golf here and there and spending quality time with my wife and friends. A day well spent.. I’m sure you’ll agree. If you want to find out more detail on any of our services mentioned here, get in touch with us today.